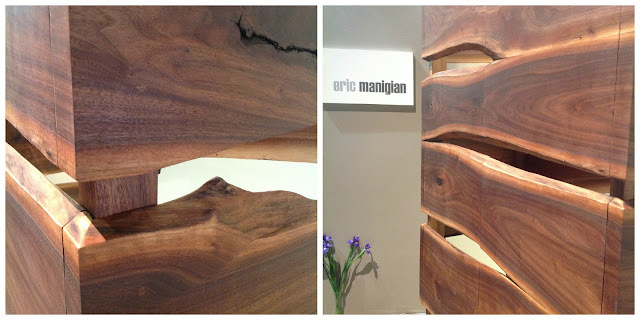 This week I will be showcasing some of my faves like Eric Manigian Studio, a wood furniture innovator. His attention to detail is incredible and his work is a collaboration with the wood- letting the grain pattern and other natural features of the wood drive the creative process. An improvisational process, every piece is unique. His newest sculptural creation below was inspired by the language of draping in fashion design. Manigian explained that he was inspired by fashion designer Alexander McQueen and how he plays between covering the body and discreetly exposing it. Here the wood organically drapes across its mid-line like a garment peels away from necklines and shoulders. The best surprise was on the inside... where the juxtaposition of frosted glass meets the opacity of curving wood. It created a a peek-a-boo effect like a backless dress. Love it! 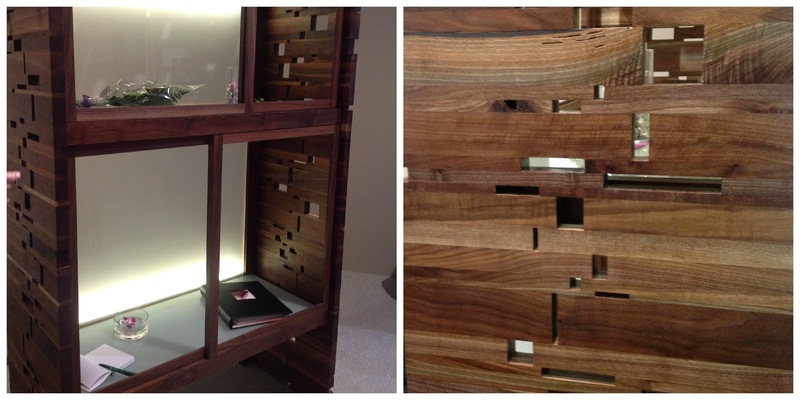 His other creation utilized wood that was originally unusable. He stacked the re-purposed wood one by one and created pockets of open geometries. 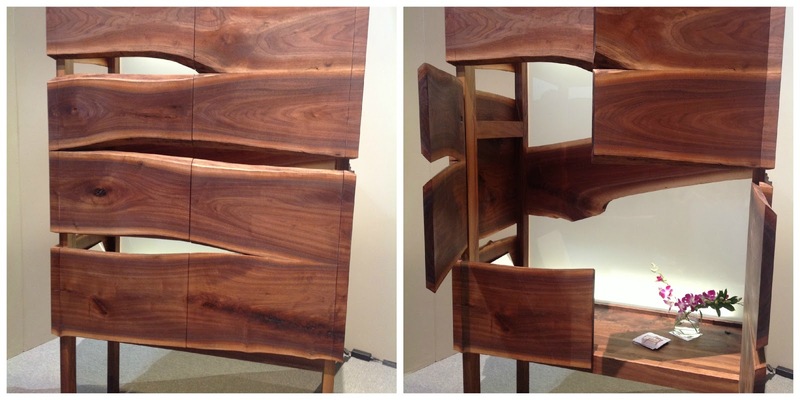 Besides the unique design, the quality of the craftsmanship proves that he is designing furniture that is made to last.